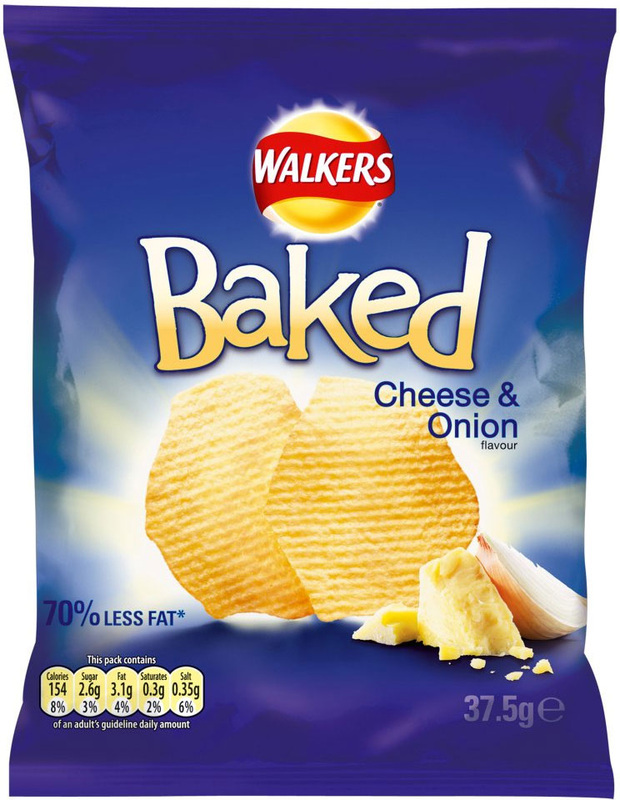 As industry leaders and the supermarkets' best Potato Crisp partners, Walkers can pretty much dictate how Crisps bags should look. Fortunately, the UK features some innovative and enterprising companies that take their promotion a little more seriously. Although Walkers bags are flavour colour coded, everything else is as basic as it can be. The logo was designed by parent company PepsiCo. It is used on FritoLay associated products worldwide. The brand recognition is therefore exemplary. Such is the confidence of the company in their market position, they overlook easily rectifiable mistakes, such as the small writing to describe the flavour. There is also a picture of two Baked Crisps. That is it. Remarkably, Walkers pay people to do their bag designs! If regular Crisps have a crumbly smash, and Hand Cooked Crisps usually have a brittle crack and snap. These Crisps literally crunched as you would hope. The eating process did not feature a mushy pulp as the crunch diminished. It was a sort of softish, meaty crunch. These Crisps featured a hexagonal shape. Well, some did. Actually, four did. The rest were broken. Neither did they have the cool, thin stripy Ripples, as advertised on the bag. Instead, the Crisps had bouncy, bumpy bobbles on an undulated surface. The colour was a sort of off whitish, yellow. You would always hope that a Cheese & Onion pairing would feature one of two ways of making the flavouring work. Liberal (usually, by hand) seasoning, will often see Crisps with different amounts of seasoning. Alternatively, there could be a nice balance of flavours that is met by sharp tastes of both Onion and mature Cheese. These Crisps tasted of potato. There was a cheesy, almost sweet undercurrent, but that is all.